The International Institute for Communication and Development (IICD) is an international network based in The Hague, Netherlands. It was established by the Netherlands Minister for Development Cooperation in 1997 and is now active in nine countries. 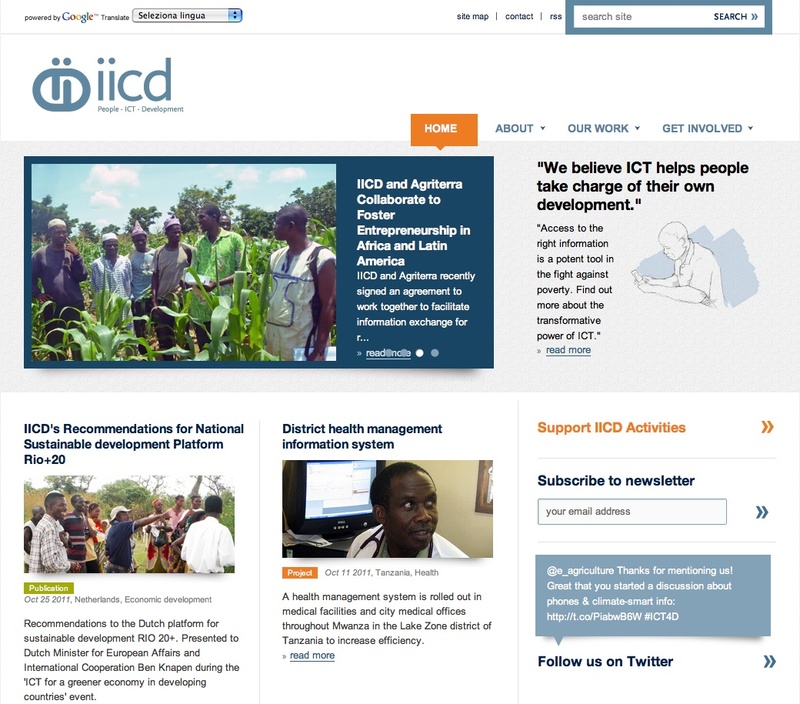 IICD works with its partner organizations in selected countries, helping local stakeholders to assess the potential uses of ICTs in fostering development. IICD is subdivided in three main teams: International Programs, Finance and Central Services, Country Programs. The website is a knowledge sharing platform of research results within the international community. It is freely accessible and offers a complete overview of sponsored research projects as well as a large amount of authoritative material about country programs publications, research reports and papers. Stored documents are rich-in-text, with careful annotations and comments. Country programs and projects are listed by country and theme, clearly explained and also provided with links to latest news on each issue. Through iConnect initiative the website also collects a large amount of articles, issue papers, and successful stories. The website is available in three languages: English, French and Spanish.